In the heart of Kololi, at a walking distance from many of the best hotels of the smiling coast, 50 meters away from Aquarius Night Club, you will find El Sol Restaurant. 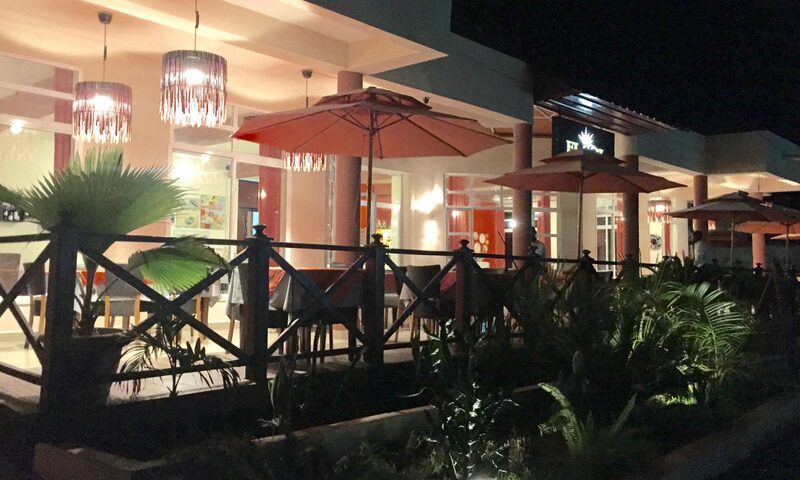 Rated as one of the best restaurants in The Gambia, El Sol offers an exstensive menu of Tapas, Mexican specialties, and superb steaks, plus a selection of classic interational dishes from around the world. The beautiful contemporary outdoor and indoor settings of El Sol are the perfect spot where to enjoy your evening, starting with a refreshing cocktail like an Apple Mojito or a Caiparinha to relax the Gambian way before your meal. Dinner in El Sol is finished with one of our delicious dessert, and an excellent Espresso coffee. Since its opening in November 2009 El Sol has been receiving yearly Certificates of Excellence by TripAdvisor. In August 2016 we moved to our new location. tender Gambian fillet steak topped with baked soft garlic cloves, served with tomatoes and baked potatoes. For garlic lovers . All the above main courses are served with either Mexican Rice, Mashed Potatoes, or Mixed Vegetables.